A CPU cooler is one of the essential things to consider while building a PC. 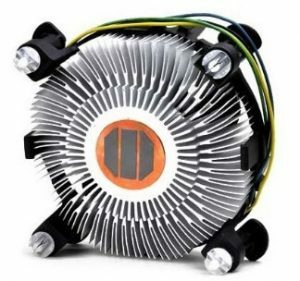 If you do not take proper care of buying a good-quality cooler for your processor, then you may end up with the overheating issues on your system. Today’s processors are more powerful than their predecessors. For example, the latest Intel’s i7 7700K and i7 8700K help to get a significant overclocking facility to give most out of them. So, for such high powered processors, you need a top-quality liquid cooler or air cooler to keep the CPU cool & fresh. Today, we will look the most sought CPU coolers for Intel i7 7700K processor. For the Intel i7 7700K like a piece of hardware, you need a reliable and performance-centric cooling component. And the NH-D14 from Noctua is a perfect heat dissipation unit for it. Moreover, it is available at the affordable price which means you will not need to break your deposits to cool down your processor. Its dual radiator system consists of six heat pipes which helps it to occupy more space and a reasonable rate of heat dissipation. The 120mm (NF-P14) and 140mm (NF-P12) dual fan setup offers superior airflow and gives a proper balance between the silent operation and excellent performance. Even though the cooler has a big surface area, it does not disturb the RAM slots due to its asymmetrical design. It has the Secufirm 2 mounting system which makes it compatible with the other sockets like LGA1155, LGA1156, LGA775, AM2, AM2+FM1, etc. The pre-applied NT-H1 thermal paste gives an additional cooling feature to the system. The U-type PH-TC12DX_BK is a standard tower cooler design from Phanteks. Its inbuilt thermal antioxidant shield make sure that you will get a durable performance. The company launched this mid-range model to create an authorization in the segment of the processor cooling market. The dual tower design has six heat pipes to provide excellent airflow and cooling operation. The patent of Cold Plasma Spraying Coating (CPSC) technology provides a quick rate of heat displacement on the corresponding metals. It consists the PH-F120HP PWM fan with nine blades and ‘Maelstrom Air-Fort Optimization’ system to deliver the maximum airflow and balance. The PH-NDC thermal compound improves the cooling conductance of the components. It can provide an efficient operation even at the 200-degree temperature inside the system. It is available in two color variants; black and white. This CPU cooler is also compatible with the sockets like LGA1150, LGA1155, LGA775, LGA1366, AM2+, AM3+, FM2, etc. The BXTS15A cooling component from Intel gives superior performance on the Intel chipsets. 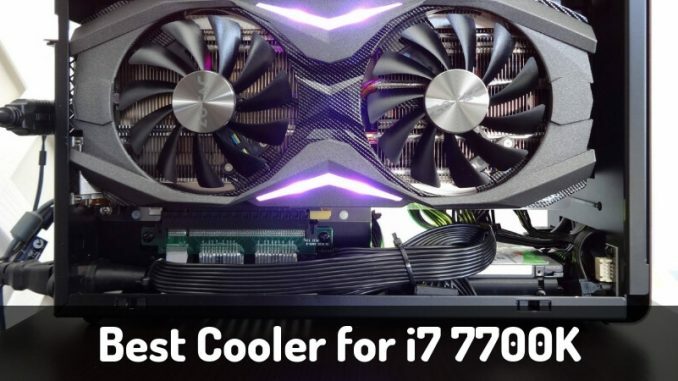 Intel does not release much more details about the cooler, but it surely has enough power to cool down your latest i7 7700K and i7 8700K processors. I am using this cooling assembly in my system and have no issues with it. It offers high flexibility and price vs. performance scalability. It supports all the LGA115x sockets from Intel. 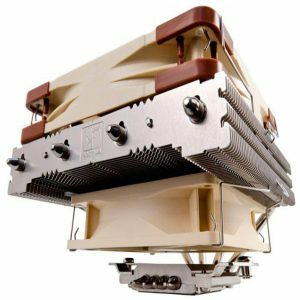 The cooler comes with push pins to easily mount and dismount from the processor. 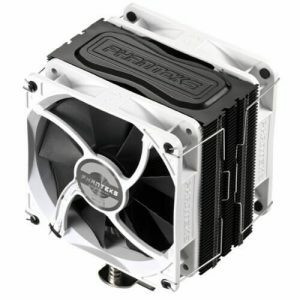 This assembly is compatible with the micro-atx motherboards too, so if you want to build a small PC setup, then it is the perfect CPU cooler for you. Its small yet heavy design makes it perfectly fit and stick on the motherboard without disturbing the neighbor slots. If you want to replace your stock fan or the whole cooling component, then the Intel BXTS15A is a perfect option. 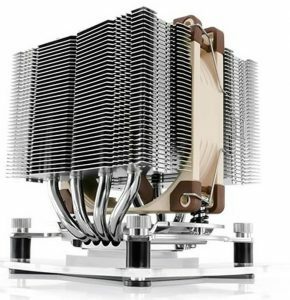 Here is the dual tower cooling system from Noctua. The NH-D9L is compatible to fit in almost all the systems. Its narrow footprint helps to get the full access to the RAM, PCI slots, and other components on the motherboard. Unlike the low-profile cooling systems, the tower-style design of NH-D9L blows the air parallel to the main board. So, the system will get the maximum heat dissipation. The smaller height of 110mm compared to other standard cooler helps it to fit even in the 3U chassis which makes it ideal for the smaller systems for video and audio processing. It comes with an NF-A9 92mm PWM fan generates enough speed of the wind to control the processor board. The attached low-noise adapter helps to reduce the fan speed from 2000rpm to 1500rpm in case you need it. Its 95 x 95 mm sized platform base makes it compatible with the ATX, Micro ATX, and ITX boards. The NH-D9L is also compatible with the sockets like LGA115x, LGA2011, AM2+, AM3+, FM1, FM2+, etc. With the help of the extra mounting clips included in the package, you can attach the NF-A9 in the front to get even more cooling output for your system. If you are looking for an affordable CPU cooler for i7 7700K, then get the liquid freezer 360 from the Arctic. This water cooler will provide an efficient operation at a passive noise level. It is an excellent, cost-effective solution for the users who want the best liquid cooler. It has six F12 PWM PST cooling fans, a radiator with 390mm length, and a good-quality water pump to provide extreme cooling performance. This liquid cooler provides the most potent & silent performance in its class. It is also compatible with the Intel 115x, 2011, 2011-3, 2066, AMD sTR4, AM4, AM3+, FM2+, etc. The concentric CNC ensures that each unit has an even and smooth surface to perform equally from pin to pin. Three fans push the air from the radiator while other three pull it to generate maximum heat dissipation for cooling down the processor even when you overclock. The included MX-4 thermal paste helps to improve the cooling performance. PartsCollection designed a powerful cooler dedicated to the Intel i7-7700K processor. It is a cheap solution for those who do not want to invest much in a cooling component or who do not have extensive usage of the computer system. With legitimate operation for i7 CPUs and affordable price, it has successfully taken a spot in this list. It has an active pre-applied heat sink to boost the cooling performance. The dominant cooling fan passes more air from the processor for better heat dissipation. Its smaller dimensions and lighter weight than the other standard CPU coolers make it compatible with most of the sockets. This cooler will provide silent operation and superior performance as a perfect replacement of the noisy cooling equipment. Its four-pin design helps you to mount and dismount it quickly on your processor. 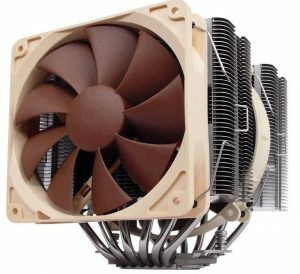 The 95W capable low power and low profile NH-L12 from Noctua delivers silent cooling operation. Despite the dropped number of heat pipes and reduced height, it has enough power to cool down your i7 7700K Intel processor. This CPU cooler perfectly matches with the Noctua’s reputation of providing top-quality and performance-rich devices. It is compatible with all the mini-ATX and micro-ATX boards. It comes with NF-F12 and NF-B9 PWM dual fans with automatic speed control feature. You can use it with only a single NF-B9 92mm fan to reduce the height to 66mm if your system is in need of a low-profile cooling system. The LNA (Low Noise Adapter) helps to reduce the cooling fan speed from 2000rpm to 1500rpm for low-performance needs. Its multi-socket mounting capability makes it compatible with the LGA2011, LGA1366, LGA115x, LGA775, AM2+, AM3+, FM1, etc. With some extra mounting bolts included in the box, you can use it with the mini-ITX boards too. The NH-L12 provides far better performance through variable speeds and heights than its near competitors in its category. You need a CPU Cooler only when you overclock, right? No, absolutely not. When you purchase a high-level processor like i7 7700K or 8700K, then you may intend for some purpose. As most of the modern processors come unlocked, they can be easily overclocked. Most of the inbuilt thermal paste can resist against 80C of the CPU, but if you use the system for the extended period while playing high-end games or graphics applications, then you may see that the temperature smoothly goes beyond this limit. In such situations, even if you don’t overclock your processor, an aftermarket CPU cooler helps to reduce the system temperature and prevents overheating issues. 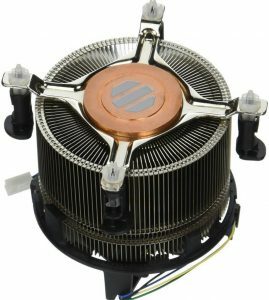 One of the most beneficial advantages of the external cooler is that it is not much expensive and you can get the best CPU cooler around $100 price, while most of them are available in the amount less than 100. With many cooling options, some questions come along. So, I will make it easy for you. If you want the best liquid or air cooler for your i7 7700K processor, then do consider some important things. First, analyze your requirement and how you are going to use the 7700K (like for intense gaming or just a normal document editing and web browsing). Then, check the chassis height and the socket dimensions on which you are going to install the cooler. Taking notes of all these things, check the height of the CPU cooler, its number of fans, thermal paste conductivity, and compatibility with different sockets. Also, consider the price to match your budget. If you keep such aspects in mind, then you will easily pick up the most suitable CPU cooler for i7 7700K Intel processor. 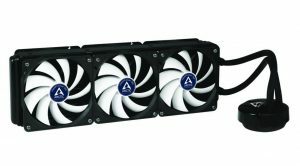 I have listed the best-quality external coolers that you can use with your Intel and AMD systems. Let me know which one will you choose for your 7700K processor and why? If you have any other potential product in mind or had an experience with it, then also you can share it here, and I will review it too.